Wilfrid Laurier University's president is speaking out about not just free speech, but what she calls 'better' speech on university campuses. Months after finding itself at the center of a national debate around free speech on campus, Wilfrid Laurier University's president is now speaking out about promoting what she calls "better" speech at universities. In a Globe and Mail op-ed Tuesday, Laurier vice-chancellor and president Deborah MacLatchy​ wrote that post-graduate institutions have a duty to protect not just free speech, but to foster an academic environment where people feel comfortable exchanging ideas. 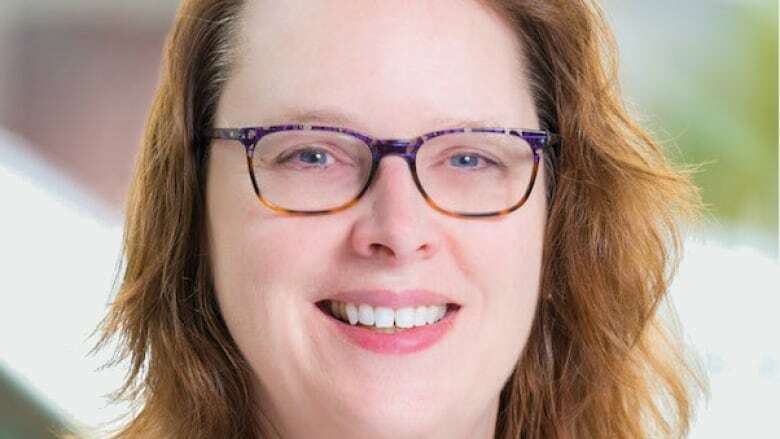 "We really have a role in providing opportunities for individuals to have deep conversations," she told CBC Kitchener-Waterloo. "Especially when there are differences in positions [and] viewpoints." She told CBC that the role of universities is to ensure all dialogues happening in the classroom are based on scholarship and evidence, and to make sure that all members of the university community are engaged, feel included and heard. Wilfrid Laurier University made international headlines last winter, when teaching assistant Lindsey Shepherd was criticized by three Laurier staff members for failing to condemn the views of University of Toronto professor Jordan Peterson, who has refused to use gender-neutral pronouns. She screened a clip of a debate featuring the professor as part of a communications tutorial. While MacLatchy​ says it is important to recognize that free expression has the potential to further marginalize students or community members, she also says that students in an academic setting must learn to "identify faulty logic and counter opposing opinions with better, evidence-based arguments."